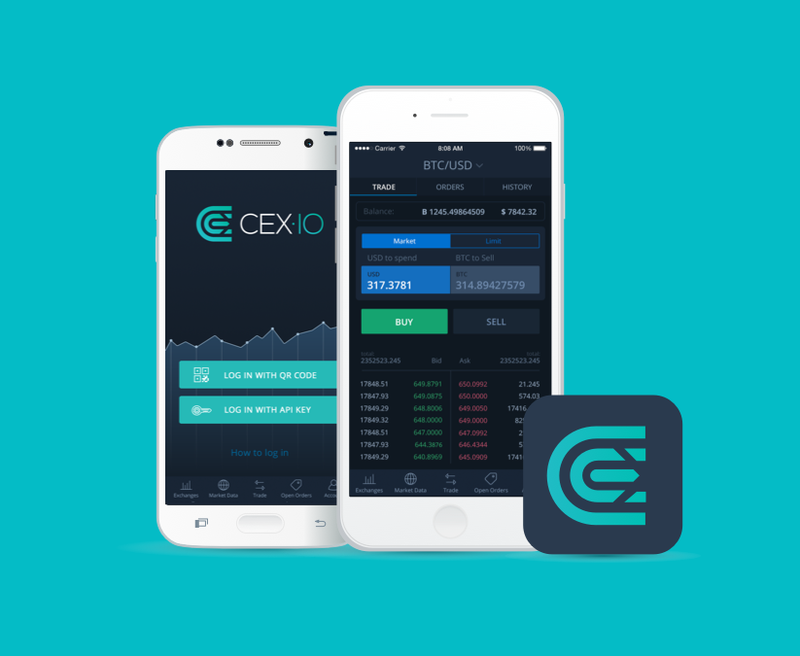 We are glad to announce recent updates made to official CEX.IO mobile application that allows you to trade Bitcoins on the go, wherever you are. From now on, the list of exchanges is delivering real-time Bitcoin data from CEX.IO, Bitfinex, OKCoin, Bitstamp, Coinbase, LakeBTC. Google and Yahoo Bitcoin price indexes were included to the market data sources as well. 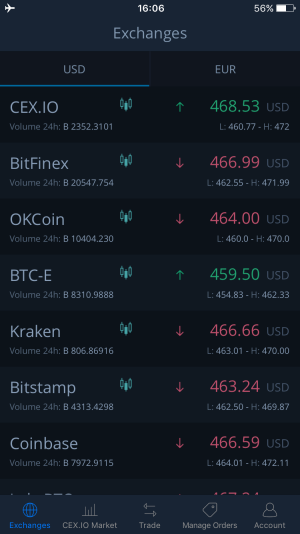 This tab is created to track and analyse such indicators as Bitcoin price in USD and EUR, 24h volume. High and low prices added within latest release. By clicking on a special candles icon near any exchange name, you will be redirected to a real-time chart reflecting price movement of the respective exchange. Click on the tabs to select timeframes of 3 min, 5 min, 1 hour, and 1 day for candles. 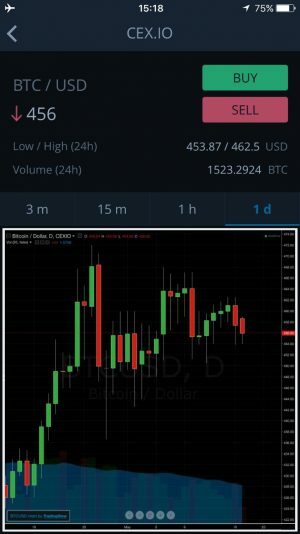 Chart information is obtained from TradingView instantly. Please note that currently, chart option is available for iOS only. 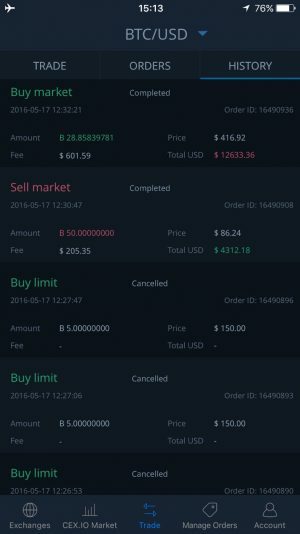 Trade page of CEX.IO app has experienced several major improvements. Namely, you can now see more order lines on the screen, which provides a better overview of the available order book. 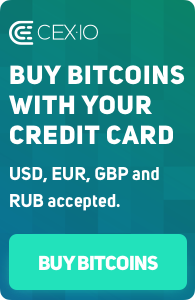 Moreover, by choosing the currency pair, you will be able to see extended data about completed and cancelled orders, together with order amount, price and fee charged for each order. Another considerable update relates to logging in to CEX.IO Mobile App. For your convenience, we have enabled manual authorisation with API key, an alternative to QR-code. 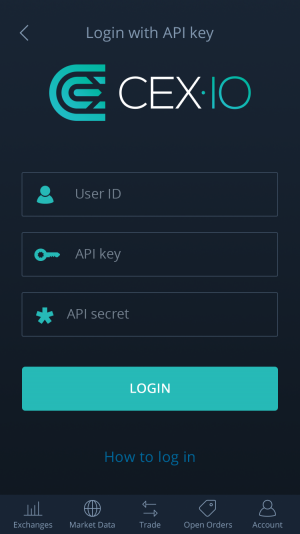 To log in with API key and, simply copy API Key and API Secret from CEX.IO Mobile tab in your profile and paste into respective fields of the app, or just enter data manually. 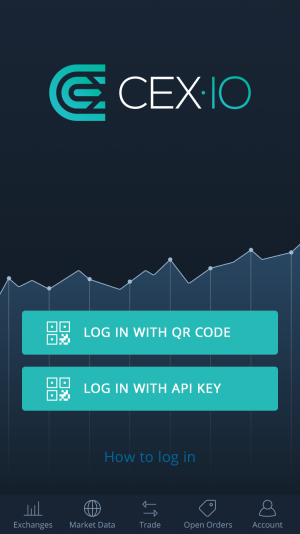 Finally, we are glad to tell that you can now use Touch ID to log in to CEX.IO Mobile App. Naturally, this option is available for iOS only. 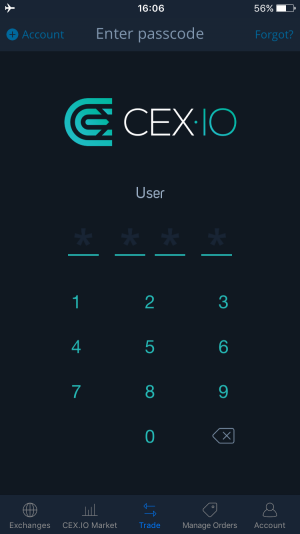 We hope you enjoy using CEX.IO app. 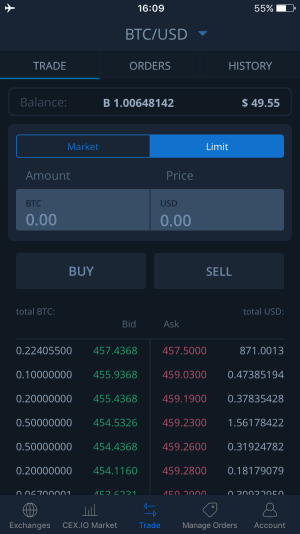 If you still don’t have it on your mobile device, make sure to install and trade Bitcoins on the go right away!